As most of you know, I have been budgeting for the last 7 years. I created my very first budget in 2011, and let’s just say, it was anything but pretty. I had no clue what I was doing, no idea how to make my expenses work with my income, and it took me almost a full year to see any signs of success. Fast forward to today. Not only have I been successfully budgeting my money for the past six years, but I have tried every budgeting method known to man. If you have heard of it, I have tried it. I have been using the same budget-by-paycheck method for the past 5 years, and to be honest, I wouldn’t do it any other way. Not only has it helped me pay off close to $25,000 worth of credit card debt, but it has allowed me to save money and gain control of my finances. I started using cash envelopes back in 2016, and it was an absolute game-changer for my budget. Cash spending was the missing piece that I needed to make my budget work for me in ways I never imagined. When I started using cash envelopes, magical things began to happen. I was able to track my spending more efficiently, I was able to make more significant debt payments, I hit my goal of saving my first $1,000, I successfully saved more money and went on my first all-cash paid vacation back in May of this year, and so much more! Today, I want to show you how to ditch your debit card and start using cash for your budget, and give you some fantastic resources to get started! One of the biggest problems I see with people who are in debt or who are just starting out with budgeting is that they have no clue about how much they spend. This results in depending on credit and spending more than they make month after month. 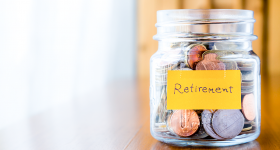 If you do this long enough, it can result in huge amounts of debt. The cash envelope system is a visual system. I think that’s why it’s so successful. If you think about it, many people overspend not because they don’t have enough income, but because they don’t know or “can’t see” where their money is going every month. The visibility that the envelopes system gives you lets you see exactly how much cash you have left to spend, all within your income limits. If you stick to your cash envelopes, there is no way you can overspend. When you are forced to reach inside your envelope and hand over dollar bills for your purchases, the concept of money becomes much more apparent with cash instead of plastic. The truth is, credit cards make it too easy to overspend. There is no way for you to see the consequences of your spending if you are only swiping a card. Using envelope cash will make you more in tune with your budget because you will be reminded of it every time you reach into an envelope to pull out money. When I first started with cash envelopes, this was apparent from the very beginning. I will never forget my first trip to the grocery store with my cash envelopes. I filled up my cart just like I always had, went to the checkout line, and was told how much it would cost. I went to pull money from my “grocery” envelope and realized that if I made the purchase, I would only be left with $5 in my envelope. This changed my way of thinking immediately. I looked down into my cart, and I saw all of these last-minute impulse items – the 12-pack of soda, the cookies, the magazine I picked up while I was waiting in line. Seeing how much I had to spend, forced me to rethink my spending habits. The point is, you start to think through every purchase. When you see money disappearing before your very eyes, you are less likely to spend wastefully. Every dollar matters. Keep in mind, when you are just starting out with the cash envelope system, you might feel a little overwhelmed and confused. Just like with any new habit or change in your life, you may feel uncertain at first and resort to giving up. No matter what, keep pressing on! If you fail with your first attempt, that’s OK. Keep perfecting your system, keep learning, and don’t be afraid to try new things. It will take time to learn the organization of the system, and to develop category values that actually work for your life. You will end up forming a new routine, and the cash envelope system will seem like second nature before you know it! The cash envelope system won’t work if you don’t have a budget created. To be successful with cash envelopes, you have a lot of work that needs to be done before you begin the process of switching from debit to cash for your budget. If you haven’t already, you need to create a successful budget. That’s the first step. I’m not going to lie, the hard part of the cash envelope system is not using the system itself, but developing and perfecting a budget that allows you to use envelopes in the first place. Have Irregular Income? Here’s How to Budget for It. Let’s walk through the steps that you will need to take with your budget to use the cash envelope system. There’s no way you will know how much cash to use for your envelopes if you are not familiar with where your money is going. The cash envelope requires you to know which categories of your budget you want to spend in cash. If you have never tracked your expenses before, you need to start right now. This involves reviewing and analyzing past bank statements, saving receipts, keeping an expense tracker, and organizing your spending. I save all of my receipts and use an expense tracker. I have detailed video tutorials on my IGTV channel that show you my process. Read: Should You Cancel Your Credit Card After Paying It Off? After you have successfully tracked your spending for a period of time (I recommend a month), it’s time to break your data and purchases into categories. Once you are aware of where your money is going, you need to add up how much you have spent in each category. 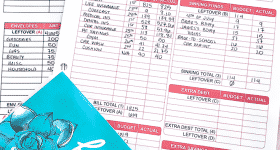 I use the highlighter method which helps me do this every month based on my expense tracker. That’s right! I only use a pen, paper, and highlighters to break down my spending into categories. Every month, I keep track of where every dollar goes. I do this by collecting my receipts throughout the day, and adding them to my expense tracker at night. At the end of the month, I go through every line on my expense tracker and highlight “like” categories and total up the different colors at the top of each page of my expense tracker. For example, all of my food spending (groceries and eating out) will be highlighted in green; all of my child expenses will be highlighted in blue; all of my debt payments will be highlighted in yellow; all of my car expenses (gas and maintenance) will be highlighted in pink, etc. Then, once all expenses have been highlighted, I add up each color. This tells me EXACTLY (like to the penny) where all of my money went and how much I spent in each category. With the cash envelope system, some of your expenses will be fixed and be paid online (like your regular bills), and some of your spending will be variable expenses, which fluctuate in value from month-to-month. The cash envelope system is meant for variable expenses that fluctuate month-to-month. So let’s talk about these two types of expenses. Fixed expenses are expenses in your monthly budget that never change. For example, your car payment will always be $250 a month. Your mortgage with always be $800 a month. The values of these expenses are what I like to call “in stone.” There is no option to change them, in most cases. Variable costs are not set “in stone.” For example, one month you might spend $30 on clothes, the next month you might spend $400. You have complete control over how much you spend on these items. Make sure the limits you pick for each category fit within your budget! For me, I create my budget and determine the limits for my envelopes all at the same time. If you have been following me on Instagram, then you know pretty cash envelopes make my heart happy. Like most things in my life, when I can’t find what I’m looking for, I make my own. It was that way with my Budget-by-Paycheck Workbook, my TBM Meal Planner Printables, and my cash envelopes. I searched high and low for cash envelopes that had colors and designs that fit my personality but always came up short. So one day, I sat down and made my own template and started creating my own designs. For the longest time, I used vertical envelopes with note cards to track my cash spending, but I wanted to create a design with the spending tracker built right into the envelope. So I created a new set of horizontal envelopes that I am in love with! I have a ton of resources for helping you find fantastic cash envelopes to use with the cash envelope system. First, there my free Budget Blueprint Email Course. In this seven-day course, I give you over twenty designed cash envelopes that you can print and make at home. Second, there’s my holiday and event cash envelope bundle that you can access in my free Resource Library. These envelopes are perfect for stashing your cash and saving up for important events like birthdays and weddings. You can also use them to save for upcoming holidays like Christmas and Thanksgiving, so you are always prepared with cash and not pressured into feeling like you need to use your credit card for holiday-related expenses. Third, you have access to exact envelopes that I use in my cash envelope budget. My all-new horizontal envelopes have a spending tracker built right into the back of the envelope, and they are by far my most popular product. If you don’t want to use either of these options, you can use blank envelopes and label each one with a marker. I like to keep track of my cash spending, as well as update my expense tracker. For me, it’s beneficial to see exactly where my cash is going each month so I can make adjustments to my spending if I need to. I am a paycheck budgeter, which means I budget my money based on when I get paid. On my paydays (the 5th and the 20th) I go to the bank after paying my bills online, and withdrawal cash for my envelopes. This means I am withdrawing cash for my envelopes twice a month. If you are wanting to budget your money monthly, you will need to pull out enough cash for your envelopes to last the entire month. Once you have a successful budget created, pay all of your regular bills (fixed expenses). “Using only cash” is one of the most common misconceptions with the cash envelope system. If you pay cash for things like your phone bill, electric, water, cable, etc. you would be running to the bank every day. It just doesn’t make much sense. Instead, use electronic bill pay or your debit card to pay your regular bills online. After figuring out when you want to pull out cash for your envelopes (usually after you get paid), it’s time to stuff your envelopes. This is by far one of my favorite days! Add up the total in cash that you need to fund all of your envelopes (either for the month or until your next paycheck if you a paycheck budgeter), and go to the bank and make a cash withdrawal. This step usually takes place after you are finished paying all of your fixed expenses (bills) online. Your budget should dictate how much cash you need to put in each envelope. For example, if you have budgeted $200 for food, then put $200 in your “Food” envelope. Do the same for each of the different envelope categories you have created. The only time I will steal from another envelope is when I know I will have enough money in the envelope I am stealing from to get me to my next paycheck. If you find yourself stealing from other envelopes to cover your food expenses, for example, you might want to rethink how much you are allocating to your food category. This is a clear sign that your budget is not realistic, and you should think about adjusting that category. The problem with stealing from one envelope when you run out of cash in another is that you will likely not have enough money left in the envelope you’re stealing from until you stuff your envelopes again. It will take trial and error to perfect your system. It will also take time and work to develop discipline. It’s critical to use the money in the envelopes only for what you’ve designated them for. When I first started budgeting and when I first attempted the cash envelope system, my goal was to pay off debt. This is still my goal, but I have a much bigger goal that keeps me motivated, and that’s buying a house. If I want to buy a house, I need to pay off debt. A goal will not only help you stay motivated, but it will also tell you where to put any extra cash that you have leftover in your envelopes. For me, I use any leftover money in my envelopes each pay period to make additional debt payments. There are still some pay periods where I will decide to roll the cash over to the next envelope, but that’s a decision I make based on what needs to happen at the time. TIP #1: Are you struggling to pick which categories you want to use for your cash envelopes? Try choosing categories you have the most trouble with. For example, I struggle with my food budget. 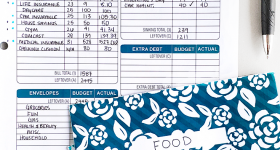 I have started meal planning to help with this issue, but I also created a cash envelope for all of my food purchases to help me with overspending. When I first started out with the cash envelope system, I had one for clothing. After 3 months of not spending any money for clothing and realizing it was wasteful to budget money for this category, I put more cash towards my miscellaneous envelope, and if I ever need clothes, it comes from that category. There is no need to have an envelope category that you don’t overspend in. TIP #2: Don’t carry all of you envelopes everywhere you go. There is only one envelope I take with me at all times, and that’s my miscellaneous envelope. If I have no plans to spend money in one or all categories, I leave them in a safe place at home. This is also great if you are working with a spouse or partner. What happens if your spouse needs to go to the grocery store, but you have the cash envelope? Make sure to leave the main envelopes at home if you are not planning on using them. Tip #3: Break down your cash. Once you are comfortable with the cash envelope system, it’s helpful to think about what types of bills work best for each of your spending categories. For me, it’s mentally harder to spend larger bills. It’s harder to hand someone a $50 or a $100 instead of a $5 or $10. Plus, you don’t want your cash envelopes to be overflowing with smaller bills. Decide which denomination of bills you need for each envelope, tally them up, and hand that list to the teller when you are pulling out cash for your envelopes. Let me explain. At the beginning of the month, my “Online Shopping” envelope will be empty. When I purchase something online (usually Amazon), I pay with my travel rewards credit card that’s attached to my PayPal account. Tip #5: If you are using the cash envelope method, it’s not uncommon for your checking account balance to get low. In fact, if you are completing your zero-based budget correctly (every dollar of income is allocated for a category in your budget), your checking account balance should be low or at almost zero every month. That’s because after all of your bills are paid, the rest of your money should be allocated to one of your cash envelopes, leaving nothing left in your checking account. The one thing that has saved me multiple times is keeping a checking account cushion. I like to keep an extra $1,000 in my checking account at all times. This will help if one of your bills (utility bill, etc.) is bigger than what you expected. I allocate $40 every paycheck for my checking account cushion, and I never touch it. It just sits in my checking account just in case. STEP #2: Track your expenses. STEP #3: Categorize your spending. STEP #4: Set limits for each category. STEP #5: Decide when to pull out cash. STEP #6: Pay your regular bills online. STEP #7: Pull out cash and stuff your envelopes. STEP #8: Only use cash in each envelope for that specific category. The one thing that I notice when people tell that they just couldn’t figure out the cash envelope system is that they didn’t take the time to complete one step before moving on to the other. This is a process, and each step in the process needs to be completed for it be successful. If you haven’t started tracking your expenses, take a month to complete this step before moving on to the next. It will take patience, but it’s worth it. It’s better than just diving into creating your envelopes when you have no idea on what to do with your envelopes or how much cash to dedicate to each one. So take your time, complete each step, and stick with it! These are helpful tips!! Thank you! !